Huawei confirmed today six phones from 2016 and the Mate 8 from November 2015 will start getting EMUI 8.0 in the following days. The full list is completed by Honor 8, Honor V8, Honor Note 8, Honor 6X, the Huawei P9 flagship and the bigger P9 Plus. EMUI 8.0 comes with intelligent CPU management for performance optimization and improved battery life. The new user interface also brings instant translation, photo scene detection, and a refined overall look. 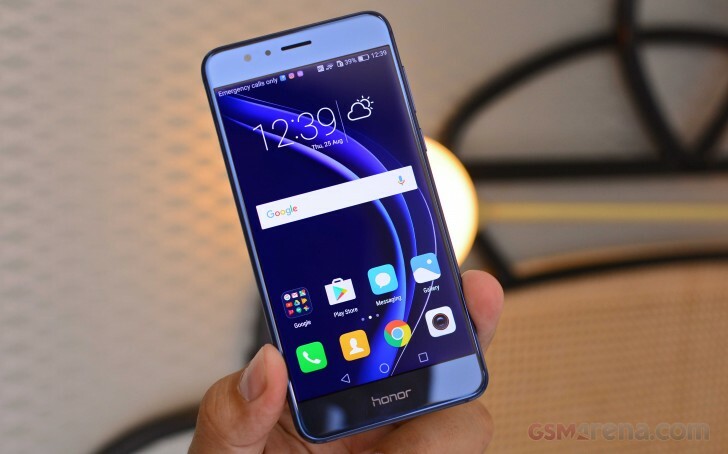 The Honor 6X is the 10th phone that is getting the Oreo-based UI after the initial list of 9 Honor phones, released at the beginning of the year. According to sources from China, the first 20,000 who decide to update manually via a mobile app will be the beta testers. When bugs are cleared out, the rest of the users should also start receiving the red dot next to their Huawei ID in the Settings menu, informing them of an upcoming update. My MateSE phone got the update from EMUI 5.2 to 8.0. WOW! That kind of update is unheard of in other manufacturers. It has been stable and battery life is great. When will HUAWEI launch Android Oreo 8.0 for P10 Lite non-Chinese version?